We have a discussion group to allow exchange and discussion of ideas between people running UK amateur radio clubs. 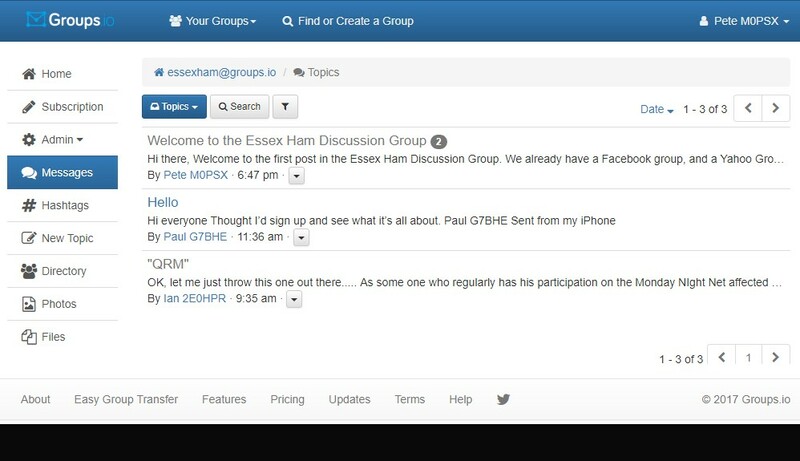 What is a discussion group? If you’re not familiar with one of these, it’s an email group where you’re able to send an email to a single address, and it’s received by all of the members of that list – you can have a group discussion over email. They’re often referred to as “Reflectors”. To keep it simple, we’re using a Groups.io group. You can sign up by sending an email or completing an online registation. How do I use the group?